An expert bookkeeper/accountant can make a significant difference to the fundamental benefit of your business as well as its success. When searching for a bookkeeper, do not just follow geographical convenience. Make sure they are expert in tax laws for your business instead of their base location. Select your accountant/bookkeeper wisely. Look for proactive bookkeepers that actively engage with the clients and advise you about all the legislative changes and developments. It’s in best interests of your business to have a capable and expert professional bookkeeper handling the most important part of your business i.e. your FINANCES. These days you can check facebook or twitter accounts to know how much are they enthusiastic about their work and how they talk about their solutions and services? For more information, you can read their testimonials / reviews. You can easily find them online. The right person will save your money and your time year after year. There are plenty of options to choose from. If you want your company to grow, it is recommended to hire professional accountant/bookkeeping services in the beginning rather than later on. Make sure your bookkeeper is a registered BAS agent. Ideally your bookkeeper should have vision for the issues that businesses go through such as cash flow, budgets, payables and receivables etc. Accountants/tax agents should create ways for reducing the complexities and providing great financial planning and reporting to meet your present needs as well as managing the future goal shifts. Tax planning is a beneficial asset for anyone whether small or big business and even for the individual tax payers. It’s not that complex. Many bookkeepers and accountants show the hard and fancy picture of tax lists to their customers. With the right tax advisor you can be at peace and become familiar with the fair ways to meet all your needs in the most efficient manner. We are a Melbourne based Bookkeeping/Accounting service. To read more blogs from us, please click here. The popularity of cloud bookkeeping programs such as XERO, SAASU, MYOB essentials, Sage One etc. in today’s world continues to increase as updates are made everyday in order to make it more reliable, quick and user-friendly. Despite its advantages, however, like everything, cloud programs also have their limitations that restrict it from deriving an accurate, complete and reliable result that a bookkeeper can provide. What exactly drives small business owners to think bookkeepers can be replaced by cloud programs? Cloud programs are used commonly to store data on virtual servers instead of a PC making it accessible almost any place from which you can an internet connection. Not only that, due to such software being available on a subscription basis, it saves business owners the upfront cost involved in purchasing the software outright and installing it on a desktop where its accessibility is limited. These are some of the most common reasons why small business owners choose to switch to cloud programs. Due to the automation, availability of live bank feeds and real time data, lot of business owners assume they don’t need a bookkeeper anymore. In spite of the ease of accessibility and cost benefits, other factors also need to be taken into consideration when doing business bookkeeping. Bookkeeping requires precision and accuracy and dealing with complexities of the business transactions such as complex payroll transactions, year-end processes, import GST transactions etc. Bookkeepers can perform complex the transactions, oversee data and systems or recognise an oversight which a cloud program like Xero can’t do. I regularly come across business owner who let go of their bookkeeper as they use Xero now and they think they don’t need a bookkeeper. Very often while reviewing their accounts, we can find numerous errors in postings, mix up between balance sheet and profit and loss items etc. A bookkeeping system like Xero or any other is a means not an end in itself, you still need qualified and experienced bookkeeper who can process the information accurately. A bookkeeping program cannot replace a bookkeeper, yes an efficient cloud program can reduce the time required for bookkeeping, however in no way it is a bookkeeper in itself. Got any more question how you can use a cloud program best for your business bookkeeping? Give HS Bookkeeping Service a call today on 1300 664 796 to get the answers. Most of small business bookkeeping these days is done online on cloud software packages. 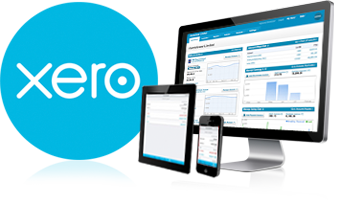 Xero is a popular cloud bookkeeping program that is used by many small and medium-sized businesses. When you need an experienced small/medium business accountant in Lyndhurst or any outer suburb,you need a local business accountant who understand the needs of your business structure. Xero has many features to offer to enable efficient bookkeeping processes including automatic bank and credit card account feeds, invoicing, accounts payable, expense claims, purchase orders and others relevant to everyday accounting. It is also known to be able to import bank and credit card statements and support multiple tax rates and currencies. All financial data is stored in the cloud on a single unified ledger, allowing users to work in the same set of books regardless of location or operating system, very much like emails! Quotes: ability to create a quote/purchase order from within a contact form, these have been added to help small businesses streamline their processes. Ability to set up default expiry date for quotes. Notifications: introduced to make it easy for users to stay on top of what’s new, what’s important and what you need to know. New improved Apple iPad mobile app. Side by side files: makes entering transactions easy- see your files on-screen alongside the record you want to update. 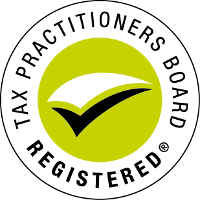 Inventory: track the value of your inventory and improve stock control. Find and recode: This feature enables to fix mistakes made with the ability to recode multiple lines at once, making it easy for advisors to find and recode transaction items for year-end clean up. Xero is constantly updating to make its use easier to their customers and Partners. For more information, please contact on 1300 664 796 or via our contact us page. As a Bookkeeper Melbourne I get quite a few questions about Paid Parental Leave(PPL). PPL was introduced by the government on 01/01/2011. It is a 100% government funded scheme which provides 18 weeks of PPL at a weekly minimum wage of $570.00 gross. It does have an impact on the employers/bookkeepers as to record keeping, reporting, payroll etc. From 01/07/2011 employers are responsible to provide the PPL to their employees each week/fortnight/month as per the pay cycle, which in turn will be paid by the Centrelink. Employers will make a claim with the Centrelink for the PPL on behalf of their employees, who will in turn access the eligibility of the employee for PPL. Employers are not liable to pay Superannuation and payroll tax on the PPL. As per the reporting requirements, employers do have to maintain the records for a period of 7 years for the payments received from the Centrelink and payments paid to the employee. As PPL does not attract the Superannuation Guarantee or Payroll Tax Liability, so from a bookkeeping viewpoint, these payments cannot be identified as Wages/Allowances. They will have to be recorded separate from the Wages. Having said that PPL still needs to be shown on the payslips and group certificates as a part of the Gross Payments. Employers will still need to deduct PAYG from these payments as per the tax tables provided by the ATO. Please refer the ATO website for further details. As a Bookkeeper Melbourne I come across a lot of business with high sales but are still struggling with cash flow. For any business, Cash Flow is most vital and in order to have a good cash flow one of the most important things is to manage your debtors. Bookkeepers play a very important role in it. First important step in managing your debtors is to understand that each business is different, it is very important to identify each customer’s business; their trading volumes etc and then give them the credit facility accordingly. You will notice that rather than applying 30 days blanket rule to each customer it benefits if you had different customers on different trading terms such as 7 days, 14 days or 30 days. Its keeps the cash flow coming all the time. Another important thing is to apply credit limits which many small businesses fail to do. Once you have credit limits in place, then if the customer does go over the credit limit for that particular period, you can always ask for upfront payment for the amount over the credit limit. One thing which I stress again and again with my clients is that if you get a sales order from one of your customer who is outside the trading terms even if it is a day, please do not be afraid to get in touch with them and advise that you will need the old account to be settled before you can provide anymore goods/services. I think it is a biggest crime in debtor management to keep on supplying even when the customer is outside the trading terms. Another way of identifying the non-paying customer is to put them on pre-paid basis for the first few orders, you will know with the promptness of their payment if they will be paying on time or not once you give them a credit facility. For those people who have over-draft’s or debtor finance facility, you should have a clause in your credit application that you will be charging interest as the same rate as the bank for the overdue invoices and do not be afraid to charge interest. In this way you can at least pass the bank charges to the customer rather than absorbing them. Get your Bookkeepers to send the statements out every week and follow up on the debtors. Do not be afraid to put them on stop supply and after 3 instances of not sticking to the payment terms the customer should be immediately put on pre-paid terms. Any debt which is over 90 days, send them a letter of demand and if still not paid it should be immediately forwarded to the debt collection agency. As a Bookkeeper I find it very helpful to use the keyboard shortcuts rather than a mouse all the time, as it is speeds up my work. I have come across many bookkeepers including my own staff that are most of the times unaware of these shortcuts and find it very helpful once they get into the practice of using MYOB keyboard shortcuts than a mouse. Here is a list of MYOB keyboard shortcuts, all tried and tested by myself over the years. It find it helpful to print it and keep it on my work desk so that it’s in my sight when I am working. 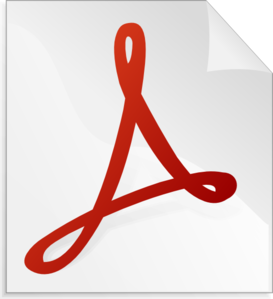 A word document is available on my Linkedin profile (see Contact Us page) right at the bottom of the page to download and print. *In MAC – substitute the CTRL key with the CMD or Apple Symbol Key. Recently I got a new client on board for Bookkeeping Services, first this I do when I get a new client is to do a quick audit of the books to make sure there is no back log to tidy up. While I was going through the books for the last financial year I noticed that they did not lodge any BAS during the quarter. This client had started a new company and only had 2 months of trading in the 2011 financial year, and registered for GST from 01/07/2011. As the client had started a new business I was bit curious as to why he did not register for GST to begin with and after enquiring with him, I found out that he was totally unaware that he was not registered for GST during the entire period and he could have claimed all the GST he paid for the $150,000.00 set up costs. His accountant thinking that he only has 2 months of trading and there is no way he will gross over $75,000.00 did not register him for GST. I had set in my mind that this was unfair to my client and I needed to do something for him so that he does not miss out for the GST refund that he was entitled to. I spoke to the ATO and explained them the whole situation and after a lengthy discussion convinced them he should be able to include the set up costs in the current quarter BAS. I completed his books and lodged the BAS for him and was able to claim the $13,500 worth of GST paid in capital expenditure during the set up and get a refund for him. This client loves me now and we do have him on board for all the Accounting Services now including the bookkeeping, tax returns and company financials. If you think you might need to get a GST audit or your books are not all tidy, call us today on 0433281575 to find out how we can help you increase your profits and cash flow. Bookkeeping can be a dreadful process for just any business owner; however it can be done effectively by competent bookkeepers and by hiring a third party bookkeeping firm like HS Bookkeeping Service Melbourne you will save yourself time, funds and stress. Bookkeeping is one component of the business that if performed correctly informs you the financial position of the organization. This requires keeping a right track of your financial transactions in order to see exactly where, how and when your money is expended or acquired. Accounts receivable, cash, accounts payable, income and costs are typically influenced by bookkeeping. Without bookkeeping, you wouldn't have financial reports. Using a qualified specialist like us is indeed essential for your organization success. Wrong data entry, evaluation or financial report preparation can lead to wrong financial reports. Not only finding the individual who can get the job done in important, the key thing to bear in mind is to get the qualified and expert individual or people to handle the work. HS Bookkeeping Service Melbourne can assist you to maintain your financial information up-to-date. Our expert Bookkeeping Services provides the financial information of the organization. Outsourcing the bookkeeping services assures affordability, high quality, accuracy and reliability and security of your data. HS Bookkeeping Service Melbourne helps in being focused on the tax preparation and accounting therefore helps to ensure that the business expenses are minimized to a greater extent. Getting HS Bookkeeping Service firms expert staff to do the job on the company’s books will assure that finances are handled accurately year round, and therefore while in tax season it won't be a struggle to get things completed by the due date. Many small businesses are afraid of the reference to making a balance sheet, however when we put in its most realistic terms, a balance sheet can turn out to be an effective business accounting tool for long term business strategies. You intend to develop your business, and we can assist. Once you have an exact snapshot of the financial situation, you can operate your business using the information and mental clarity you require to make wise and well-timed business choices to accomplish increased development and profits. We are enthusiastic about small business and can help to increase your profits and cash flow. Our passion is to be connected with small businesses being a small business ourselves. Meaningful, well-organized company’s financial records ensure that the business functions will operate more effectively on a regular basis; these are the basis of the thriving business. We offer Accounting, Bookkeeping, Payroll, Financial Evaluation and Tax-Return Preparation and Lodgement services. We assist the Accounting and Bookkeeping outsourcing requirements of the frequently overlooked market segment - small and medium businesses. We deliver secure, well timed, reliable, accurate, productive and cost effective Bookkeeping and Accounting Outsourcing services in Lynbrook and all the surrounding areas.Contact us today to get your company accounts organised. As a Melbourne Bookkeeper, I come across clients every now and then who are curious about Cloud Accounting but are reluctant to change. We are establsihed cloud accounting package providers based in Lynbrook.In this article I have tried to explain the benefits of Cloud Accounting over the traditional Desktop Accounting programs. Cloud Accounting efficiently offers its users with similar features as programs like MYOB and QuickBooks in terms of invoicing, purchasing, payroll, inventory etc. It also provides additional features such as access to real time information such as cash flow by live Bank Feeds, online invoicing etc. As cloud accounting uses the internet, it can be used from any computer around the world with an internet connection. The users are not just stuck with the computer that has the software installed on it and access to the information is lot more easier when on the move with the introductions of Apps for the latest smart phones and tablets. However for cloud accounting to operate efficiently the consumer would need to have a relatively speedy and reliable internet access. The two most widely used Cloud Accounting systems in Australia are SAASU and XERO. Company information is available to you, your bookkeeper and accountant anywhere in the office, home or on the go, as its all browser based. You are able to run reports and get a better understanding of where your business stands at any point of time. You are able to export the reports into a spreadsheet if required like the other Accounting systems. It eliminates the need of sending the paperwork and company files back and forth to your bookkeeper and accountant. Both these programs enable to email out the invoices, payslips, purchase orders etc and well as print them. The templates for various forms such as invoices, payslips, customer statements are also customizable. You don't need to worry about the backups or the security of the data. The ease of getting access to the business financials is one of the best features Cloud Accounting services offers. Business Owners have the peace of mind realizing the information is secure and always backed up. It also reduces the IT costs of the businesses as they don't need to invest in licenses for an additional employee to access the company file and don't have to pay the yearly membership to keep up with the latest tax tables. The pricing of these two Cloud Accounting systems is a monthly subscriptions split into few levels based on the requirements of the business. All charges feature a free trial offer and the opportunity to terminate at any time. Unlimited users are permitted, along with great customer service and support. Monthly pricing for SAASU and XERO is available on their websites on the following links respectively is available at http://www.saasu.com/pricing/ and http://www.xero.com/pricing/. One advantage SAASU offers is the fact that any new upgrades including the updated tax tables are totally free and are automatically integrated. I also personally like the inventory feature of SAASU better. We at Bookkeeping Service and Tax Accountants Cranbourne with our vast range of experience can help you with any kind of accounting programs be it MYOB, QuickBooks or Cloud Accounting. If you are unsure about which accounting program would suit your requirements, get in touch for a free consultation and we can evaluate your requirements and recommend the suitable accounting system. For business owners we provide a variety of expert services ranging from standard bookkeeping and accounting, tax planning, preparation and lodgement, restructures, company financial's cash flow and budgeting. It’s that time of the year, END OF FINANCIAL YEAR. Every business would have essentially maintained their bookkeeping all year round nevertheless there are several business owners out there who may have time limitations and struggle to be on top of their accounts and bookkeeping. Following these few pointers will ensure that your accounts are all reconciled and balanced to be presented to your accountant. Begin by reconciling your bank accounts, receivables and payables. Do a stock take at the end of June and reconcile your inventory. Reconcile your payroll and GST for the year before lodging the June Quarter BAS so that any variations with the ATO for the previous quarters could be adjusted in the June quarter. If you have any outstanding tax liability, it is advisable to reconcile the ATO statements to make sure that you have included the interest charges. Likewise reconcile the vehicle or equipment lease accounts, if any, to ensure the interest charge is included on the company books. Don't freak out, if you cannot manage all of this, HS Bookkeeping Service are here to help, give us a call on 1300 664 796. Receivables and Payables Reconciliation Report. Getting this information organised could save you time, money and stress. Experiencing difficulty with keeping up with the year end requirements, give HS Bookkeeping Service a call on 1300 664 796 and we can take care of your accounts to ensure you accounts are all up to date for the end of financial year and help you meet with the end of financial year statutory obligations. It’s the end of the financial year soon and employers/bookkeepers will be required to issue the group certificates by 14th July 2012, it is a good practice to reconcile the payroll account before issuing any group certificates. Also before the BAS for quarter ending June 2012 is lodged, it would be good if the GST reconciliation is done for the entire year so that if there are any variances in what is on the company ledger and what has been lodged with the ATO, adjustments for it can be made in the June lodgement. The reason there can be any payroll/GST variances is due to the fact that people can sometimes make changes in the periods for which the BAS has been lodged in the company file, so it’s always a good practice to reconcile these 2 items for the financial year before the last lodgements. I have added the GST/PAYG reconciliation worksheet in our Ebook download section, where it can be downloaded for use. The worksheet is not protected so it can be amended according to the requirements (monthly or quarterly BAS). Although I have tested the work-sheet very thoroughly before making it available for download, HS Bookkeeping Service does not hold any responsibility for errors. If you have any further issues/queries in relation to year end BAS Reconciliation, we are here to help, contact HS Bookkeeping Service on 1300 664 796. 1) Qualification and Experience: In accordance with the Tax Practioners Board, it is mandatory for any one providing a bookkeeping service to complete at least a certificate IV in Bookkeeping or higher. If the bookkeeper does not possess the relevant qualification, then you will be wasting your time, energy and money with them. Also a qualified bookkeeper without any practical experience would be useless, since you will be their Guinea Pig where they will be practicing their knowledge to gain experience and skills within the practical work environment. A good bookkeeper should have the relevant qualification and at least few years experience. 2) BAS Agent : It is essential you make sure your bookkeeper is a registered BAS agent, since this will ensure that the candidate has got the appropriate expertise and qualification. 3) Insurances: According to a new law, it is mandatory that each and every bookkeeper has professional indemnity insurance, ensure you check their insurance policy so that you're not liable for the fines imposed by the ATO for any blunders in your BAS. 4) Basic Knowledge of Your Industry: Ofcourse, you can’t expect the bookkeeper to be an expert in every industry to being with, but it assists when they have an idea of how your industry operates. Figures are dealt with exactly the same in order to get calculations however in some industrial sectors there might be different factors to be aware of which will be useful to your bookkeeper. 5) Attention to Detail: Simply because somebody is a bookkeeper does not necessarily mean they may be always detail-oriented. You certainly do not have enough time to double-check their work so ensure the person you hire is skilled enough to deal with the minor details. 6) Hire A Bookkeeping Firm: A freelance bookkeeper might not always have the time to get things done on the schedule you would like and as per the ATO deadlines. A bookkeeping firm like HS Bookkeeping Service however are going to have number of bookkeepers readily available to manage your requirements and respond to any queries that arise. 7) Flexibility: It’s better to hire a company that provides a flexible service which is customized for your particular requirements rather than off-shelf plans which don't often suit your purposes. 8) Ease of Contact: If you're a business owner who spends most of the working day doing your work then you'll definitely reap the benefits of having the ability to talk to or see your bookkeeper outside work hours. 9) Accounting Softwares: Bookkeeper should be able to understand the modern day business accounting software’s and not the old pen and paper type bookkeeping. 10) Personality: As a business owner, you should be able to communicate with your bookkeeper about any concerns you have, so it's essential that individual is friendly in their attitude and tone. There's no reason working with a bookkeeper with many years of experience if you're discouraged by their attitude. Additionally you can judge a bookkeeper by the price they are charging, if you're quoted too low, then the bookkeeper does not value their services and you wouldn't want to do business with someone who isn't confident of themselves. If they have quoted you very high then you'll know that they're over charging you, any bookkeeper who is quoting you a reasonable and fair price will be honest, reliable and genuine. Contact HS Bookkeeping Service today for any or all of your bookkeeping requirements on 1300 664 796 and get your bookkeeping done by the bookkeeping professionals. I have been getting quite a lot of requests from my website visitors to provide assistance in creating a new company file in MYOB. Below is a video that I created to cater to these requests, this should give you an understanding on creating a new company file in MYOB. However if you still require further assistance, contact us on 1300 664 796. Starting from 1st July till 14th July, all employers are required to issue payment summaries to their employees. Before issuing payment summaries it is advisable to reconcile the payroll accounts to ensure that there are no discrepancies between the payment summaries issued and your payroll expense accounts. Once you have finalised the payroll for the financial year and are ready to generate the payment summaries, get the trial balance from 1st July 2011 to 30th June 2012. Also get the payroll summary report for the whole financial year. The total of gross wages for the employees on the yearly payroll summary report should match the wages expense totals on the trial balance. If both these balances are not matching then there is some error in your wages expense account and you will need to check the wages expense account and find out why it’s not matching. First thing to look for is any credit entries in the wages expense account, as it’s an expense account, it should be normally debited. Another reason of the discrepancy could be if any staff expenses reimbursements, owners drawings etc are being expensed to wages account rather than being put to the relevant accounts. You might want to look at all the debits in the wages expense account and any look for any debit entries that don’t look like the usual payroll, one good way to identify these kinds of entries is to look by dates, normally payroll would be processed at a particular day/date of each week/fortnight/month and any journals that are on the different dates than the payroll processing date for that payroll period should be the first ones to look at. Once you identify those journals transfer them out to the relevant accounts. The superannuation expense account should also be reconciled the same way, one common error for mismatching superannuation expense accounts is due to the reason that sometimes when paying the superannuation in MYOB, instead of posting the payment to the liability account, payment is posted to the expense account. I have already covered the reconciliation of the PAYG Withheld account in my previous blog, please read through that to ensure PAYG withheld is reconciled as well. An easier method for the reconciliation is to start reconciling by each month rather than the full year as there will be less data to sort through. Once the wages expense and superannuation accounts balances are matching with the payroll summary report for the whole financial year, annual payroll is now reconciled and your company file is now tidied up to generate the payment summaries. By following this, not only will you generate the correct payment summaries but will also reduce your accountant's bill for the time your accountant would have spent doing the same. If you are still unsure about reconciling the payroll account and issuing the payment summaries, we are here to help, contact HS Bookkeeping Service on 1300 664 796.